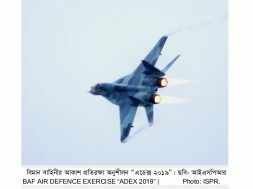 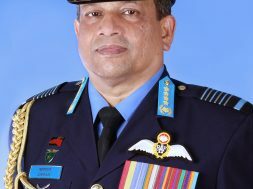 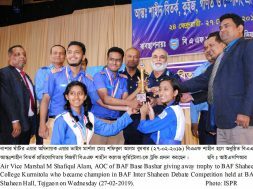 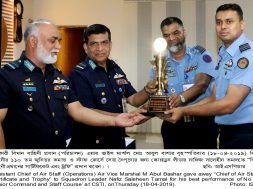 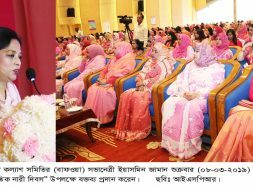 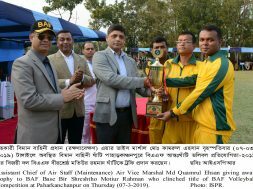 Dhaka, February 05:- Closing ceremony of Inter-Base Lawn Tennis competition-2019 of Bangladesh Air Force was held at BAF Base Bashar Lawn Tennis Ground on Tuesday (05-02-2019). 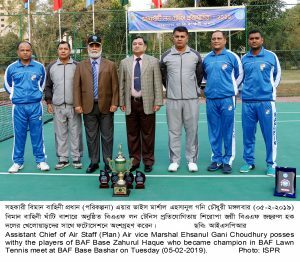 Among the 06 participant teams, BAF Base Zahurul Haque team clinched the title by defeating Air Headquarters Unit team by 6/3 and 6/3 set. 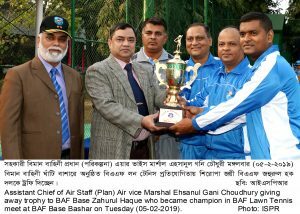 Wing Commander Zaki Anwar of the BAF Base Zahurul Haque was adjudged the best player in the competition. 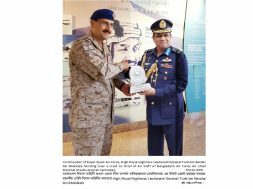 Assistant Chief of Air Staff (Plan) Air Vice Marshal Ehsanul Gani Choudhury, OSP, GUP, ndu, psc witnessed the final match as Chief Guest and distributed prizes amongst the winners. 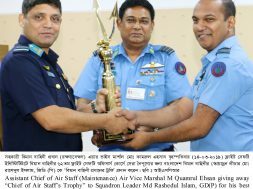 Among others, Senior BAF Officers, Airmen and other members of the base were present on the occasion. 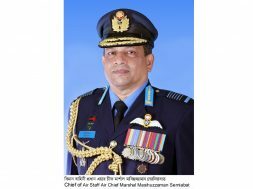 Enter email address to receive notification by emal.